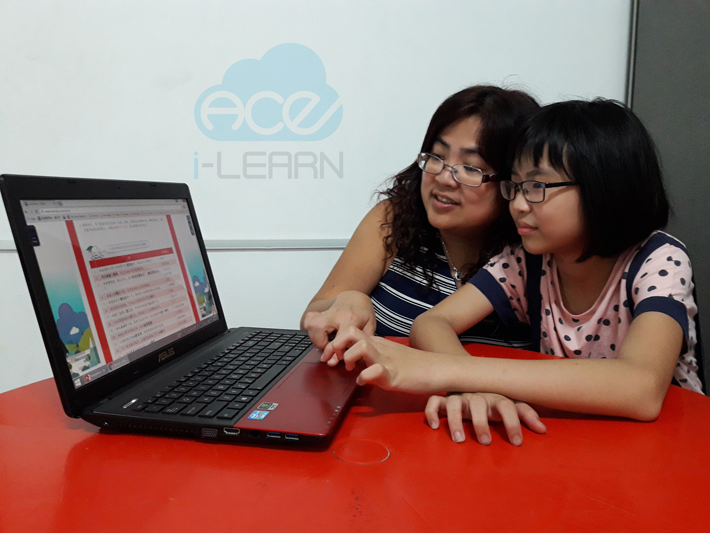 We have many users who are happy with i-LEARN Ace. Below are some testimonials for your reference. Be a part of us and achieve your goals too! I started to use i-LEARN Ace in early Sept. 2016. 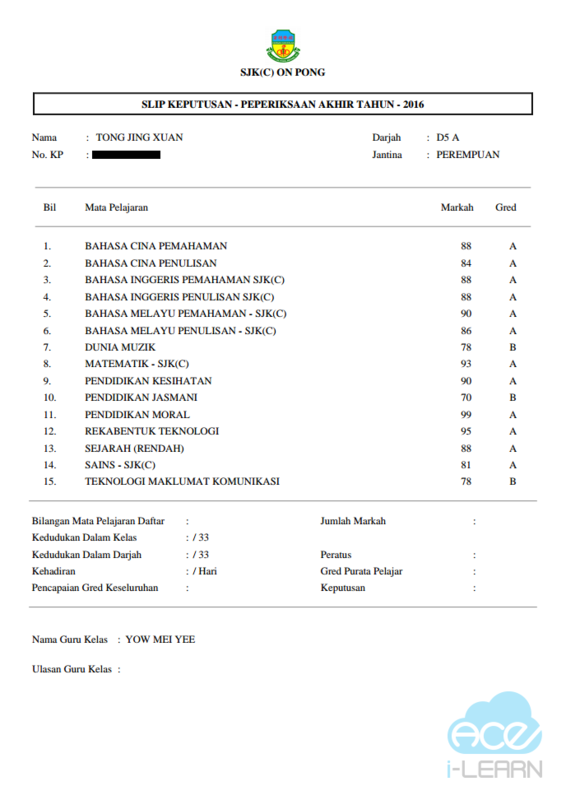 I find it very convenient and very helpful as i-LEARN Ace has helped me to achieve 8As in the SPM exam. Most of the objective questions that I have done in i-LEARN Ace came out in the actual exam so I was more familiar with the topics and the questions. i-LEARN Ace also has an application and other interesting features. It is easily accessible because you can do revision using your smartphone! 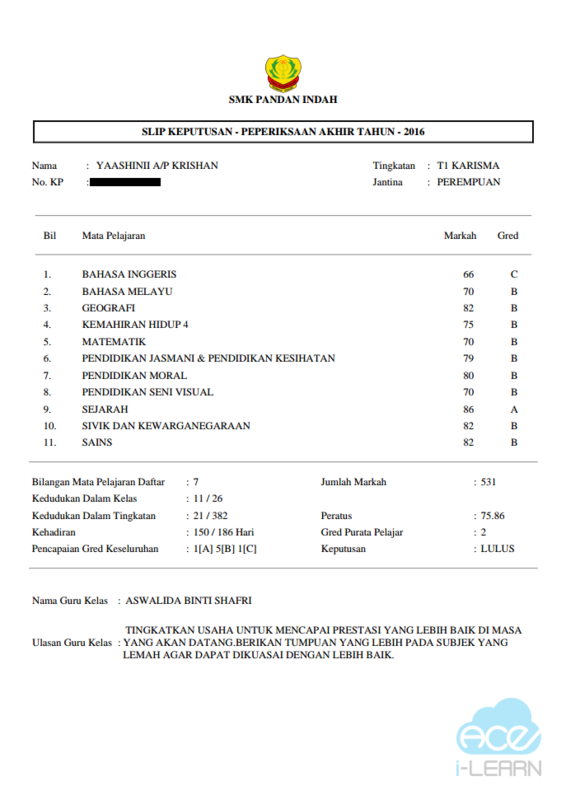 Therefore, I highly recommend i-LEARN Ace to all SPM candidates. I was not doing well in my studies. Moreover, I’m lazy to read books. Now, after using i-LEARN Ace, my studying habit has changed. The colourful notes, assignments and practices in i-LEARN Ace encourage me to do my revision regularly, effectively and easily. Besides that, I have also improved a lot in my studies. My parents are very happy. 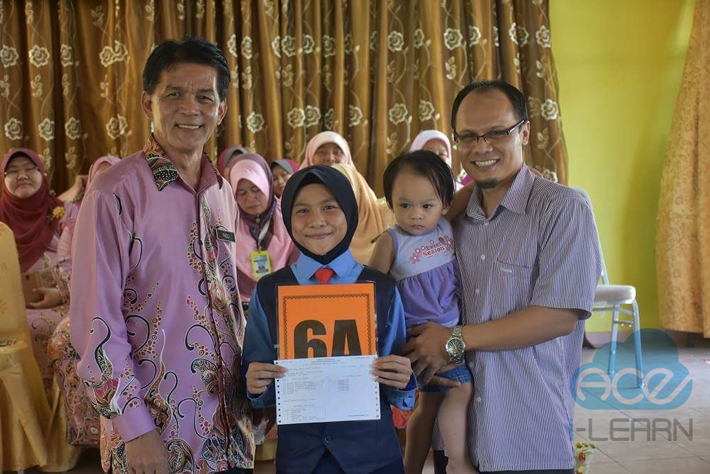 Saya mula menggunakan i-LEARN Ace dua bulan sebelum peperiksaan UPSR dan fokus saya adalah untuk memperoleh A bagi mata pelajaran Sains, English, dan Matematik. 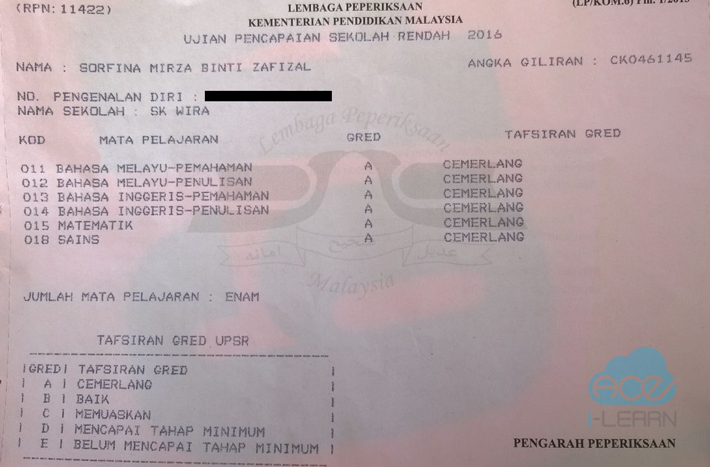 Walau bagaimanapun, dalam masa yang singkat itu, saya telah memperoleh 6A untuk peperiksaan UPSR. Sungguh menakjubkan! 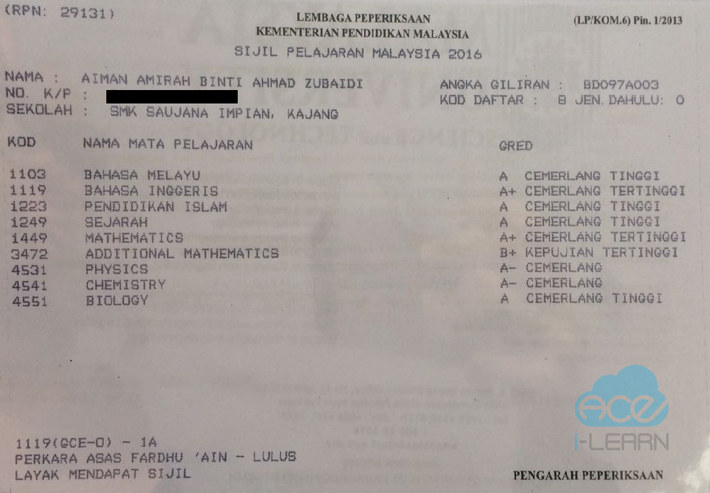 Saya akan terus menggunakan i-LEARN Ace walaupun saya telah melanjutkan pelajaran ke sekolah menengah. Even though I have a lot of homework every day, I force myself to do revision to prepare for my exam. After using i-LEARN Ace, I’ve improved in my studies. Moreover, it helps me to save time because I can do my revision using my mobile devices anywhere, anytime. Now, I can do my revision easily.